You expect to see nurses in hospitals and doctors’ offices, but there are also some unusual places that nurses work. Since nurses take an interest in the health and well being of others, their careers can take them around the world and into many unexpected places and situations. If you’re a nurse looking for a change of scenery, consider some of these work environments as new and different options. Every cruise liner has its own medical staff, and nurses can see the world while working on these ships. Like other first responders, firefighters, police officers and EMTs, cruise ship nurses are specially trained in handling emergency situations. For cruise nurses, the preparedness has to do with handling emergencies at sea such as water rescue. Of course, emergencies don’t happen all the time. Much of the work of cruise nurses involves treating routine illnesses and conditions such as the common cold or seasickness. Please also see: What is a Cruise Ship Nurse? While it might not be as exciting as working on a cruise liner, a career in pharmaceutical sales can be lucrative for nurses. Although sales can be challenging for some, nurses who have a natural affinity for sales are well prepared for peddling medication and equipment to doctors, clinics, hospitals and other healthcare organizations. Some nurses choose to pursue careers in law, handling medical malpractice work for attorneys. In fact, you can become a law-office expert by completing certain coursework and three to five years of clinical nursing experience. You probably know that nurses are often employed at schools and camps, but did you ever think about the opportunities for nurses at prisons and other correctional facilities? Most of these types of places provide a wide range of patient care on campus, and nurses are provided with a safe working environment where you are allowed greater autonomy than in many more traditional nursing jobs. You know that research is integral to the advancement of medicine. Why not get involved personally with a job as a nurse researcher? Most research nurses have at least a BSN. 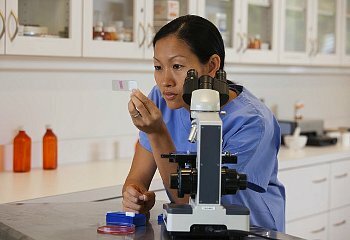 By working on a medical research team, you can help colleagues and the rest of the medical world better understand diseases, disabilities and other medical conditions. Nurses can work in a variety of different places. Now that you know more about some of the unusual places that nurses work, what direction do you think you might pursue for your nursing career?